DOWNLOADABLE EDITION: Buy and download this book (pdf + epub + kindle) with mp3 audio. Texts in Russian with English translations (to help you learn). With professional Russian audio (to help you practice). Graded by level (to fit your learning needs). Created specifically to learn Russian (and written by Russian teachers). If you have any questions about this or any of our books, please contact us. We are the only Russian school that creates this type of audiobook. 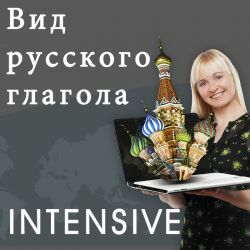 First, we have written specific texts designed to help you learn Russian according to your level. Then, we have translated every story into English to help you learn faster. Finally, you can listen to the whole book recorded by Russian native speakers and with professional quality. In other words, you can read, listen and learn Russian with our unique collection of books. If you are looking for advanced texts for Russian students, this is what you need. Take this book with you. Our books to learn Russian come in pdf format and are compatible with any device (PC, laptop, Mac, iPad, tablet, ...). They include professional recordings of each story in mp3. You can listen to the audio while reading the book, or you can play the mp3 recordings on your phone or audio player and listen to the book anywhere.